Bathing is typically something we do to cleanse our bodies, ridding us of external bacteria and dirt that we pick up throughout the day, and the toxins that our bodies naturally release through our skin. Although many of us usually choose to shower due to time constraints (or perhaps not having a bathtub or a proper sized tub), this act of cleansing the body helps also helps us clear our thoughts, emotions and boosts our spirits. We shower to help us wake up in the morning, clearing the cobwebs of our dream state; we shower to wind down at the end of the day before we slumber. Bathing also has spiritual significance and is a vital daily practice in various religions, such as Hinduism and Buddhism. Historically we have numerous accounts of the art and practice of bathing across the globe; Mesoamerica, Rome, China and Japan all incorporated Bathing into their daily practices in both public and private spaces. What is it about water and the act of bathing that makes us feel so refreshed, cleansed, relaxed and overall just good? 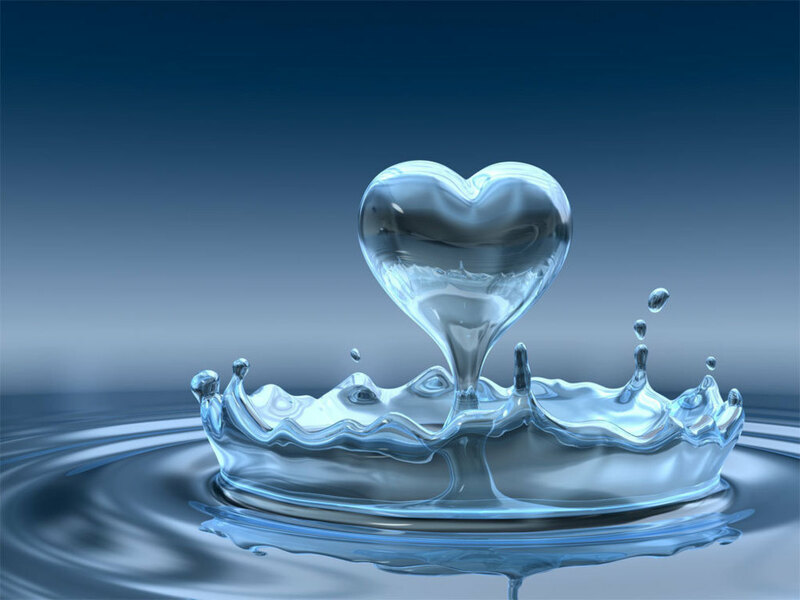 Water is one of the most important substances on Earth, and humans are made up of mostly water. We often turn to water for comfort – we visit Beaches, Rivers, Oceans and Lakes and gain comfort from the ebb and flow of natural water formations. Water is said to be loaded with energy and vibration, with the ability to respond to the world around it on an energetic level. Some researchers, such as Masaru Emoto show how water responds to external stimuli with simple words of love, hate, and gratitude. By freezing water he shows how crystallized water retains these sentiments; love produces beautiful geometric patterns, whereas hate produces deformed patterns. In short, we don’t give water enough credit, and we don’t perceive it as a life force in itself. Whatever the form it takes – gas (steam), solid (ice), or liquid (water) – it is vital to our physical and spiritual existence on this planet. I’m sharing this with you because I have a lot of respect for water and I interact with water every day; I send Reiki & Positive Energy to my bottled water, my tea, my soup – any water that I consume (unfortunately our tap water is pretty stripped of natural stuff and loaded with chemicals). I am pretty thankful for it, as it is what sustains our physical bodies. You don’t have to be a reiki practitioner or certified in energy healing – all you need is thought and intent. Project your positive thoughts – love and gratitude – onto/into the water you are drinking, eating, interacting with. You’d be surprised at how much better that cup of tea will taste. Candles: I always have a candle beside the tub, typically a white one. Epsom Salt: a naturally occurring pure mineral compound of magnesium and sulfate that has numerous health benefits, including stress relief, soothes pain and muscles, eliminates toxins. Pink Himalayan Salt: contains 84 essential minerals, detoxes the body, relaxes and soothes. Dead Sea Salt: contains Bromide, Iodine Magnesium, Sodium, Calcium and Potassium; stimulates circulation, effective for arthritis, allergies and skin ailments, regulates cell activity. Lavender Oil: brings positive energy, numerous therapeutic attributes internally and externally. Sweetgrass Oil: one of the sacred herbs of Native Americans; used to draw positive energy & purify negative energy. Quartz Crystal: Power stone, channels energy, amplifies energy, harmonizes & balances. Citrine: Clears negative energy, protection, stabilizes energy, success stone, hope. Amethyst: Calming stone, balance, peace, protection, help rid of addictions. Rose Quartz: Unconditional Love, balance emotions, stress relief, eases anxiety. *Crystals can be placed in the water or beside you on the tub. Note that some crystals cannot be immersed in water – some will disintegrate in water (such as Selenite), while others are not healthy to absorb through water (but ok to hold in your hand). Be sure to do some research on your crystal if you want to immerse it in water, as some will contain copper, lead, arsenic, cadmium, aluminum, barium, mercury, zinc, and other poisonous substances. As soon as I step into the water, I feel my whole being give a sigh of relief and comfort. Take some time to feel the water on a different level – not just physically. Feel the love, feel the comfort, feel the energy. Take a few moments to turn your mind to a quiet place and meditate – or simply just exist in a space that is just love energy. If any daily thoughts or worries come to mind, feel them slipping away into the water, allowing the water to transmute negativity into positivity. Take as much time as you need in this space. Tune into your senses – the physical ones, and the non-physical ones. If you have trouble focusing, use the candle flame beside you as a focal point. See the flame dance and relax into the water; Smell the essential oils that you’ve used; Run your fingers through the water, draw patterns or doodle; Sense the energy of the water, inhale and taste the feeling of the steam and hot air rising from the water. Stay as long as you can, and when you’re finished, give thanks to the space you created and to the water for the healing. Get out of the tub slowly, you might feel a bit dizzy from the energy and heat – be sure to drink lots of water when you’re done. If you only have time for a shower, use the Cho Ku Rei or Dai Ko Myo symbol on the walls of the shower stall, including the shower curtain. Or, use the same intent of love, positivity and gratitude to build yourself an energetic fort in the shower. I also send this energy into the pipes in the walls, and the shower head so that the water that flows to me is charged with positivity. Allow yourself to experience the water falling on your body, allow yourself to immerse your being into this energetic healing space you created, allow your troubles or worries to fall into the drain. Once you’ve finished with your bath, you’ll notice how much ‘lighter’ you feel. You’ve given yourself a physical bath, an energetic cleansing, and purged your aura of stagnant and unwanted energies. Your head will feel clearer, offering a fresh perspective on the world around you. Take the time to use this simple yet effective way of clearing, and appreciate the gift of water. Enjoy.